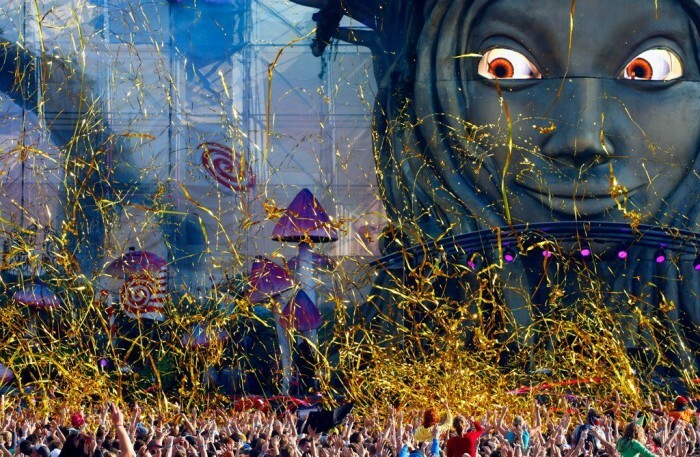 GoPro released it’s aftermovie of Tomorrowland 2014, AND IT’S AWESOME! It was just two months ago, when we had got to witness an astounding view of Tomorrowland ’14 via the 32 minute flick of its official after-movie. And as we were about to get over the bewilderment that the movie had brought in, GoPro, the official production partners of the event are out with an even better treat for us. The company had earlier started a video series to showcase the features of the GoPro HERO4. For the latest episode of this series, they have released a 12minute movie which features some terrific and groovy shots of the grand EDM festival. The GoPro 4k, movie which primarily showcases the “point-of-view” of two girls who attended the event, also has some stunning shots taken aerially, apart from the onstage clips of the sets of Steve Aoki, Krewella and Dimitri Vegas and Like Mike. The video initiates with the journey of the girls into Belgium and later on progresses to stage events with- what can arguably be called- the most true-to-life view possible when watching from another person’s perspective. The air-borne captures of the beauty that is beheld in the Belgian city are like added bonuses in the journey that we’re taken to by the video. Both Tomorrowland and GoPro are widely known for modern innovations in their respective fields of events and technology. Hence, to no one’s wonder, the footage of the superbly designed stage and the party mood surrounding the event, captured from equally exceptional angles, doesn’t cease to amaze. It is probably the best roller coaster ride of the grand dance festival that you can take sitting at home. One you’re done watching the video you’d feel as if you were actually there enjoying the gala of the event. Also, unlike the long half-hour official after-movie, this video sums it all into just 12 minutes. So tuck up your seat belts, and go ahead to take the thrilling ride. Crazy. Frolicsome. Atheist. Likes to play with words and music.